In addition, we will be fully prepared for the cold winter months next year. The children are very excited about this new development at their homes which will bring them great comfort. Hot water will also greatly aid the washing of clothes and dishes on campus. In total, we have 24 solar panels for lighting and for fans as well as 60 solar vacuum tubes for the water heating system which can produce 264 gallons (1,000 liters) of hot water per day. 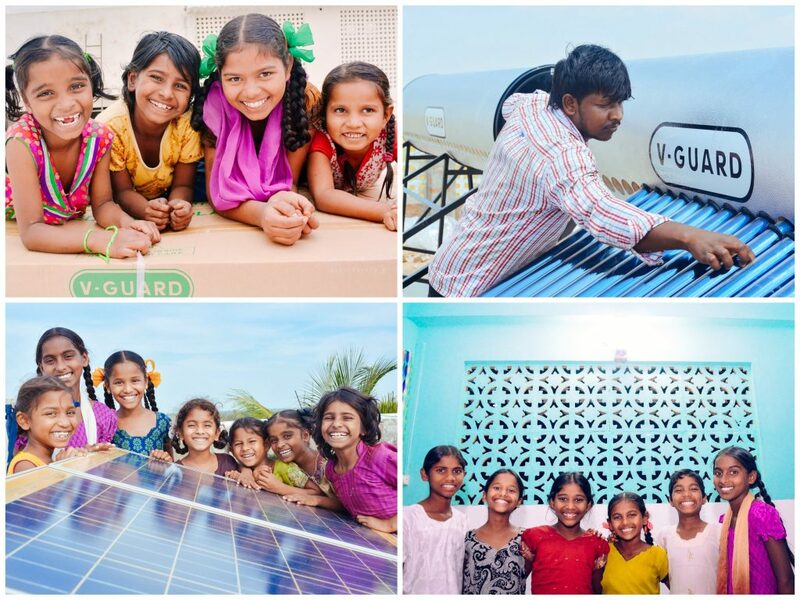 For our main campus in India, which includes our Girls Home, Boys Home, primary school, and clinic and gardening projects, the solar project has resulted in a 40% reduction in our electric bill. The system provides lighting during the frequent and prolonged power outages in the region, which is important for security in the night and for the children getting ready in the morning or preparing for bed after sunset. Previously we were presented with several challenges that we now no longer face, such as children taking lanterns to use the restroom, security concerns, and more. Solar power is a great addition to our campus which received the first phase of installation in November 2011. The solar solution has resulted in saving us over $6,000 since installation by reducing the load from the grid when the power is on. We anticipate that the project will have paid for itself in just 4 to 5 years from now. Even when the surrounding community is in the darkness of a power outage, our campus now shines brightly with its solar lights — a symbol of the hope that lies within its walls. The system even powers perimeter security lights. This solution is part of our solar initiative which has now been implemented at two of our projects — India and Uganda. We’re very happy with the way it fits our model of sustainability, while also reducing our impact on the environment. 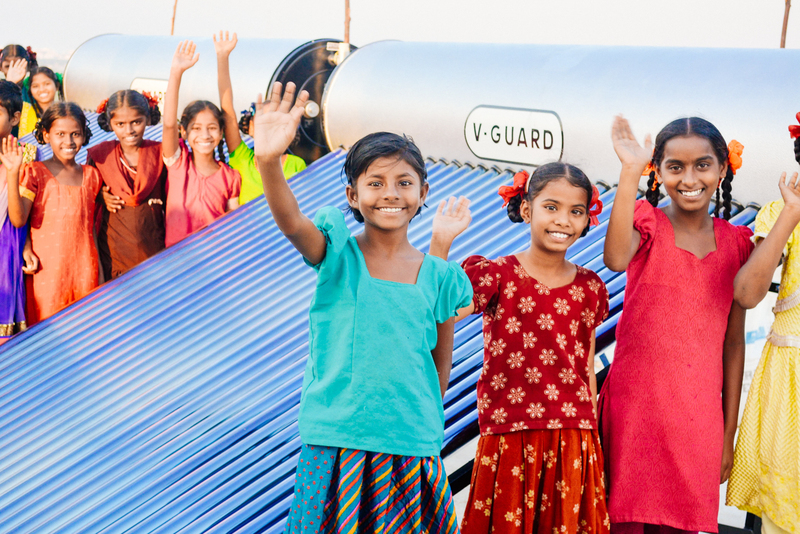 The children at our India homes are certainly happy with the results — a brighter, more secure and more productive life.